To follow up on Charles’ theme, I decided to post what you can expect to make as a postdoc in the sciences. 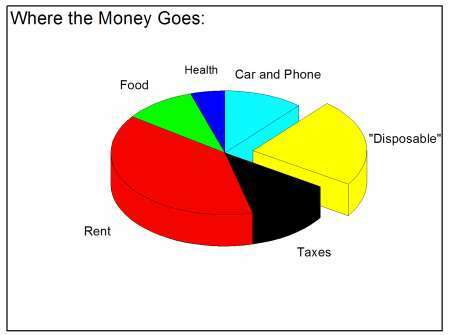 The information below comes from the excellent Sigma Xi postdoc survey. Read it and weep. 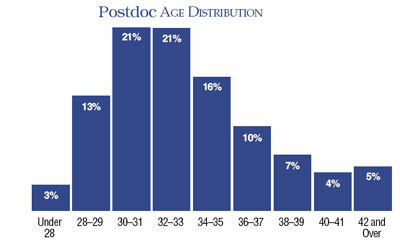 Most schools base their postdoc salary from the current NIH postdoc stipend rate. These rates are only marginally adjusted for years of experience and do not reflect the differences in cost of living between, say, Ohio and NYC. 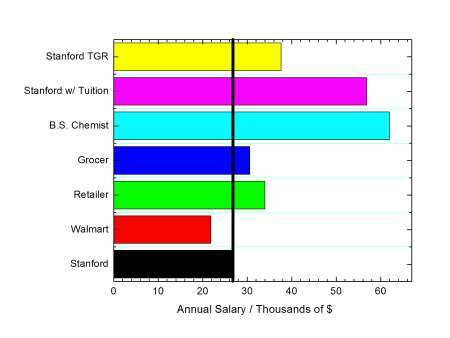 Furthermore, most schools do not treat their postdocs as students so on-campus housing, medical, gym, and other “perks” are significantly more expensive. Medical insurance covered by Columbia. 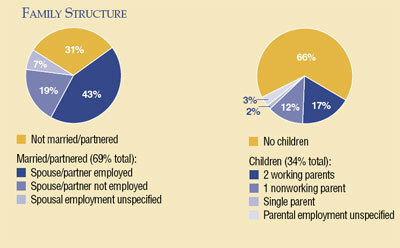 There you have it – two very consistent data points. 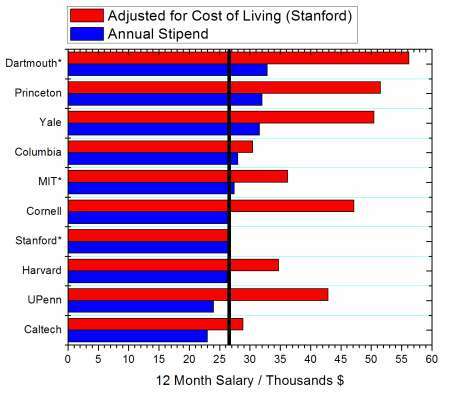 Even though the cost of living in NYC is greater than Palo Alto, generous student housing subsidies and inclusion of medical insurance make their disposable income greater than what you have.